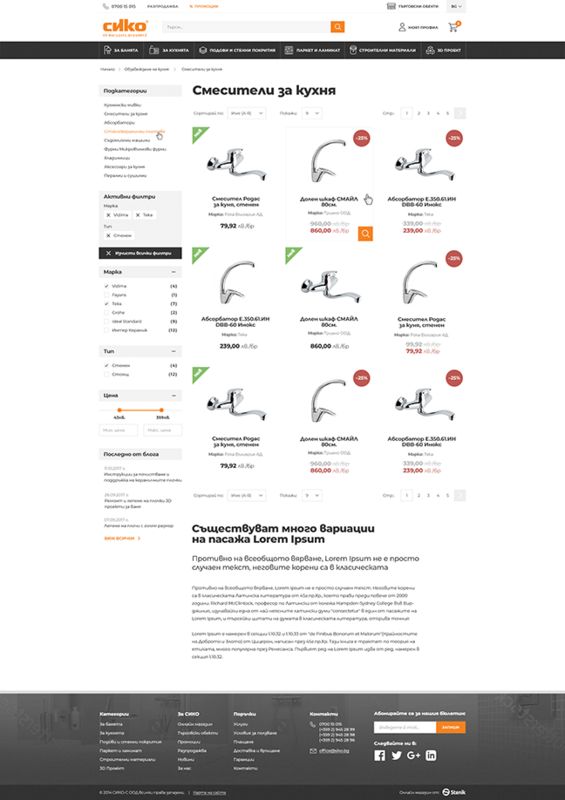 Having so many products and categories we had to improve basic Magento search with an additional module, that showed search suggestions, and needed good and clean design in order for user to see everything at a glance. 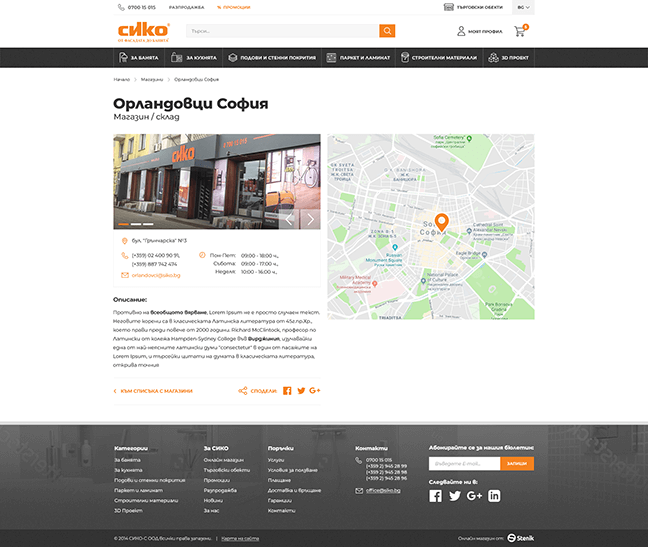 The brand has many physical stores around the country so it was important to make a good looking store details page with basic info, location and gallery. I chose Montserrat for this project as it has nice round geometric feeling fitting the brands sphere of business. Also this type has released Bulgarian Cyrillic, which looks amazing! I applied the puzzle of tiles type of grid for banner block here. I thought it's pretty suitable for this brand because one of their main category of products is bath interior and terracotta. Product box is borderless if user are not hovering with mouse over it, thus giving feelings of freedom, space and expansion and may be brand confidence when browsing categories. This was applied for product details page photo too. Icons used across the site are intended to match the typography so they are thin line-style. Abandoning tabs organization and combined with borderless main image again, made this page look spacious and clean. It's interesting to note that we added downloading product manual near the buy box so it's easier to be spotted. 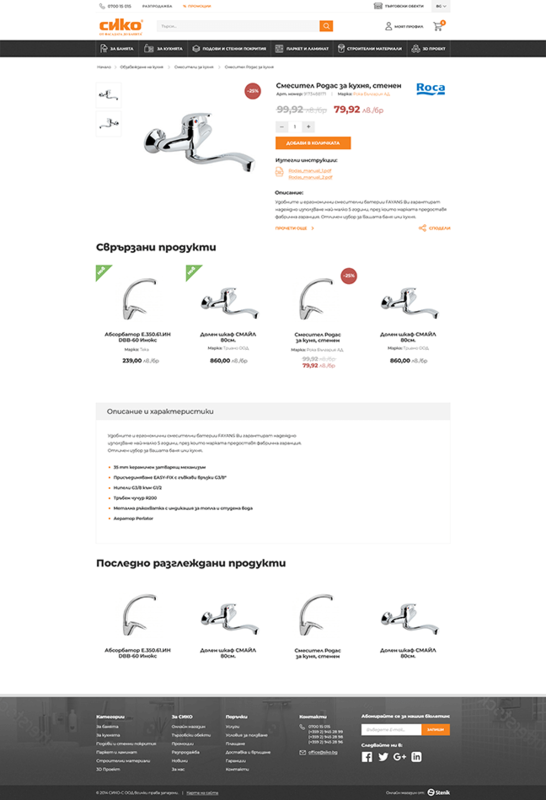 It was important for client to have image gallery in the shop details page. So in order to save space for the important stuff as worktime, address and phone number, I added ribbon beneath the image and designed an image slider without thumbs. I used accordion interface to organize alphabetically the cerfiticates page because of the big amount of elements.